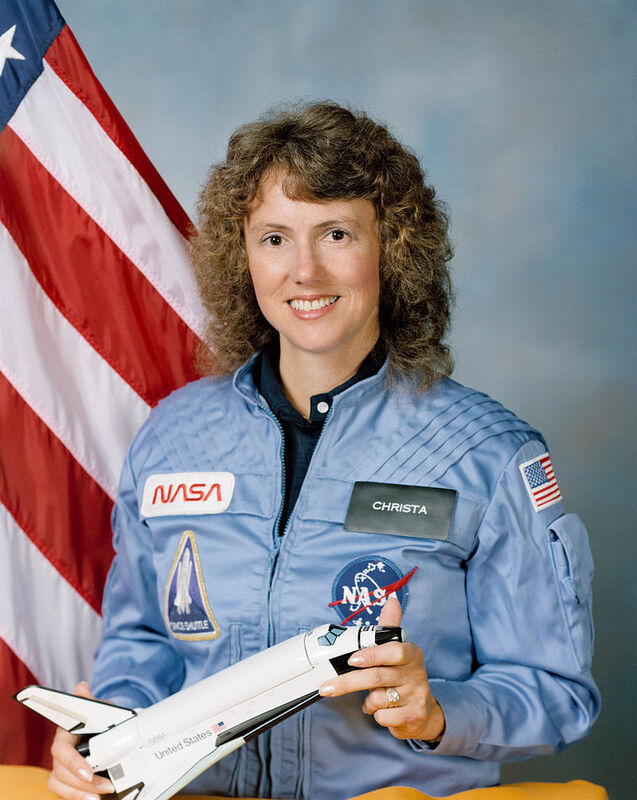 Born Sharon Christa Corrigan, McAuliffe was a Maryland schoolteacher chosen in 1984 out of some 10,000 applicants as the first ordinary citizen (non-pilot, non-scientist) in space. Her enthusiastic participation in the mission of the space shuttle Challenger drew much public interest and focused more public attention on the January 28, 1986, launch than usual. Seventy-four seconds after liftoff, Challenger exploded, killing all seven on board. Subsequent investigation revealed that the accident resulted from the failure of a seal on a solid-fuel booster rocket, a failure NASA knew was possible, but, to avoid further delays of an already repeatedly delayed launch, downplayed. McAuliffe was hailed as a hero, but public support for the space program diminished.